Raise your hand if you enjoyed the great amount of snow and rain we got last winter. Now, raise your hand if you are dealing with allergy issues this spring. Whoops! One can lead to another, folks! You may have a slight reaction to the pollen in the air….like itchy eyes and sneezing, or you may get to the point where you are actually thinking of leaving Prescott for good because you are suffering so much! So what should you do? Shots are offered if you want to go that route, and very scary drugs with black box suicidal warnings are also available. Your choice! The natural approach is much different and in most cases very effective. Keep in mind that your overall health determines your reaction to pollen. AND EVERYTHING ELSE! If you understand that allergens can be made up of tiny bits of carbohydrates or proteins, you will see that by taking an amazing nutrient called “Digestion” between meals that you can break down those allergens and make them less of a problem. If the allergy symptoms are centered on your sinuses, the nutrient of choice is “Nasanol”, and if they are affecting your lungs, we recommend “Pneumocarotene”. OHS has an “Allergy Pak” that provides several nutrients in a convenient small daily packet to help with your allergy symptoms. I have advanced training in the allergy elimination procedure called NAET that is a non-invasive process that can be very effective for allergies of all types. 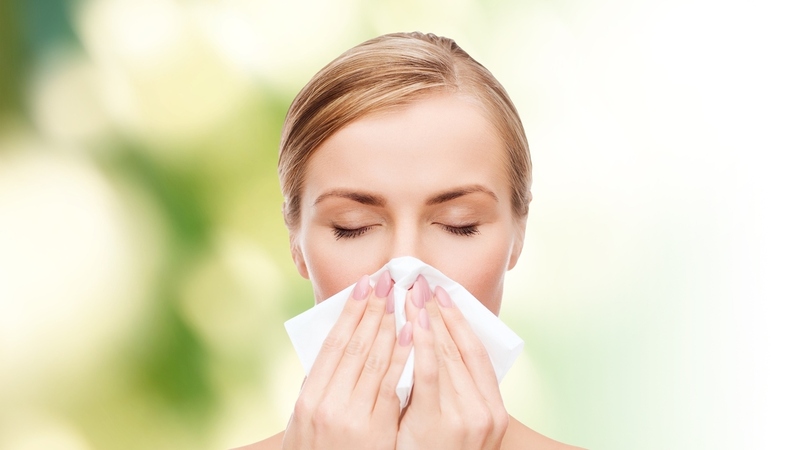 Join us at the clinic for our class on allergies April, 27th at 4:00 PM for the latest great information. You may not have to suffer with those pesky allergies! Call 445-5607 to sign up!